Noel Polanco Is a vegan fitness athlete & print model from New York City. Growing up as a chubby kid in Washington Heights, Noel lost weight through jumping rope. Little Noel was an animal lover so he soon adapted to a vegetarian diet and later went completely vegan. Now he is a vegan health and fitness advocate, defender of animal rights and protector of women who have been victims of domestic violence. Noel focuses on inspiring younger kids who are now affected with diabetes and obesity. He makes inspiring videos to motivate other people into living a healthier lifestyle. I am vegan because I love animals. After seeing so many people suffering with diseases such as diabetes, obesity and cancer, I asked myself if the Standard American Diet (SAD) was in fact so healthy then why are people getting sick? All of these diseases could be prevented though a Vegan diet. As we have now seen, even Bill Clinton went vegan to reverse his own heart disease. I am vegan because I love animals and want to prevent sickness. I have been Vegan now for over 3 years. Was mainly vegetarian before. I have more energy. I haven't had a cold, or flu. I love it. Veganism to me means living in peace with the animals that share this planet with us. As well as living without causing any harm to our bodies, planet and animals. I do all kinds of training from bodyweight exercises, to exercises with a weighted vest. I am always doing different stuff whatever my body feels like doing on the day. Yes, I offer fitness advice and help people lose weight, and also make inspiring workout videos that you can see on my YouTube channel. I play Basketball, Football, and Track. Biggest misconception about vegans is that vegans are weak. When they see me workout, I prove them wrong. 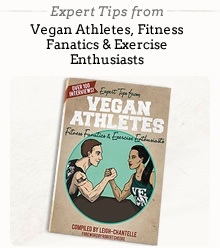 My strengths as a vegan athlete are that I have mastered my own bodyweight. I can do Human Flags, one arm pull ups, one arm push ups, one legged squats. Basically, every difficult exercise with your own bodyweight I am able to do. I still train hard everyday because you can always find harder stuff and exercises to do. Not every non-vegan person is supportive. When people can't do something them self they want to tell you that you can't do it. Most of them are, they are open-minded and give it a try. I have inspired and helped more than 20 people become vegan. Where do you get your protein? I think every person that is vegan gets asked that same question over and over again. I answer it in a friendly way and tell them the truth about the protein myth. People should be worrying about NOT consuming too much protein to stay healthy. It's kind of sad but my motivation is my family, the people around me, and my results. By seeing my family, friends etc suffering with diseases and being overweight, it motivates me to workout everyday, to keep following a vegan diet to not end up like them. My main goal in life is to prevent sickness, and be healthy. I want to inspire the younger kids because I once was chubby and not healthy when I was little. Also, seeing my results, my energy and the way I feel and look. That keeps me motivated. Everyday is not the same I don't eat the same thing over and over again. I wrote down what I ate today. Dinner: brown rice and beans, raw cucumbers, tomatoes and hummus. Snacks (healthy & not-so healthy) Clif bars, Larabars, any fruits, any nuts or seeds, raisins, and fruit smoothies. I don't take any supplements. I believe don't believe in artificial or powder stuff. I get all my nutrients from the food that grows on the planet. Gaining muscle: My tip for gaining muscle would be TRAIN HARD. When you feel you don't want to train, that’s the day that you need to train the most. Get enough sleep and just train everyday. Make training a daily routine in your lifestyle. Don't rush into getting big muscles just train to be healthy and fit. Then when you look at yourself after 5 years you will be like: WOW hard work pays off. Never rush into trying to get results. Have fun when working out and train everyday. Don't follow the rules in magazines etc. Losing weight: My tip for losing weight is that if you own or use a treadmill throw it out the window. Go outside and run or walk. That’s how you lose weight. Stop focusing on using all these machines and fake equipment. Run, Sprint, Walk or climb up and down the stairs. Eat non-processed food, more fruits and veggies. Also following a plant-based diet will help you lose weight. Maintaining weight: My tip for maintaining weight would be to eat enough calories. Never starve, and don't be afraid of consuming avocados, nuts, and coconut milk. Improving metabolism: My tip for improving your metabolism would be simple: Just eat more fruit. Toning up: My tip for toning up would be to exercise EVERYDAY. I promote veganism everyday either in person or online via websites and social networks. I also make videos where I talk about the benefits of a vegan diet, and show people how to exercise like I do. I also share disturbing images of what the meat is like before it get to your plate.